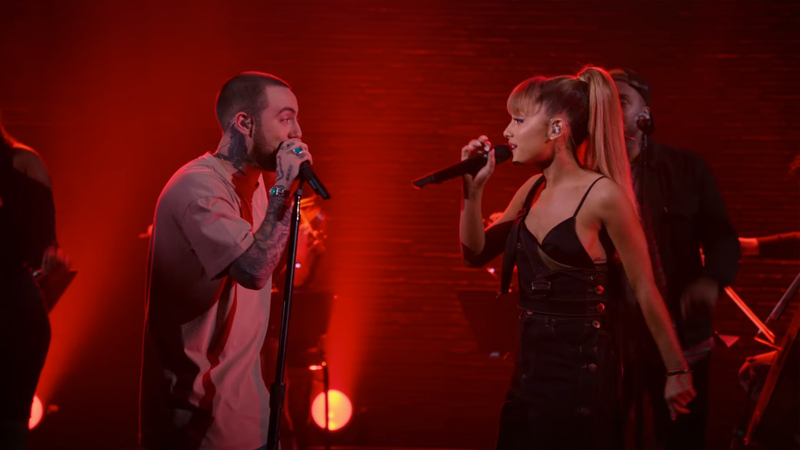 Mac Miller and Ariana Grande have once again proved that they are the cutest couple around, this time with live rendition of their duet, “My Favorite Part”. The performance begins with the Pittsburgh rapper alone, churning out the opening bars onstage before Grande pops up out-of-the-blue to join him. Their chemistry is undeniable, as they sway back and forth, alternating verses for the track, which is from Miller’s recently released album, The Divine Feminine. The power couple were also backed by a live band, including a horn section, which was all filmed as part of a concert was recorded for DirecTV’s AUDIENCE Network. Make sure you track Mac Miller on Bandsintown while he’s on tour!